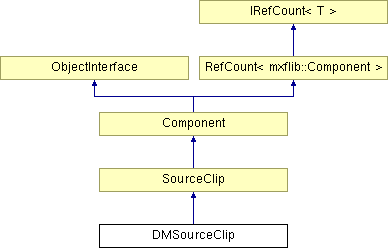 Return the containing "DMSourceClip" object for this MDObject. Parse an existing MDObject into a DMSourceClip object. Holds data relating to a DMSourceClip.